My friend Danny and I were on the Big Four pedestrian bridge this weekend. 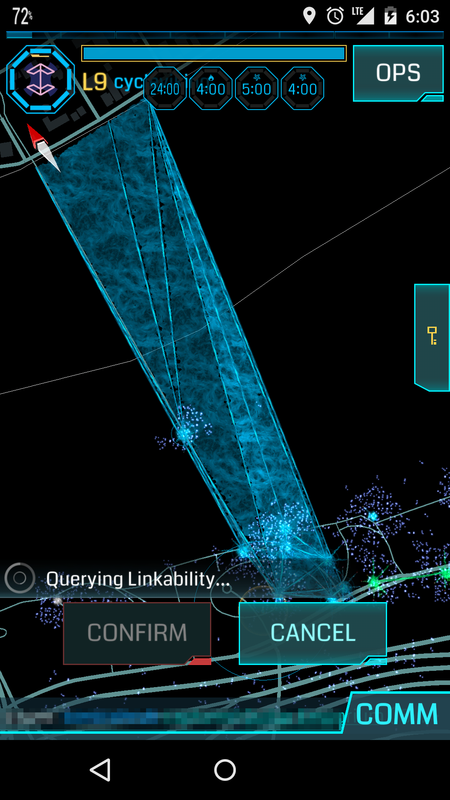 We did the Ingress mission, hung out on the Flat 12 Bierwerks patio in Jeffersonville hacking a few portals in range, then we walked back and threw fields across the river. Lots of fun was had. Fields over the river. We almost got Danny leveled up to L6. But when I laid down in bed last night, in those moments when I was halfway between awake and falling asleep, I kept having visions of me staring over the edge of the bridge, just a bit too far. Losing balance considering the height and the wind. Trying to take pictures, but almost losing my phone over the rail. And finally, holding onto the rail for my life. I thought I’d gotten better about my fear of heights, but it would seem my subconscious disagrees. Next Post Titansgrave Is Late. And That’s Okay.